It’s exciting to see a roomful of smart, cosmopolitan people talking about saving lives by making knowledge more accessible. That’s what happened last week in London at the HIFA2015 conference, hosted by the British Medical Association. I travelled there with Simon Andriesen, fellow Board Member of Translators without Borders, and Joe Mairura, a Kenyan mental health professional. We were there as part of a campaign to reverse the trend that sees millions of people around the world dying for simple lack of access to knowledge. This is happening every day in the poorer regions of the world, which tend to shoulder a disproportionate share of the world’s diseases, but have far fewer resources to fight them. Africa, for example, carries 25% of the world’s disease burden, but has only 2-3% of the world’s medical professionals. Health care, particularly in the rural areas, tends to be provided by community health workers, so it’s critical for these village-based carers to have access to accurate health information. The consequences of limited access to knowledge should come as no surprise. People may believe that boiling milk prevents malaria and that sleeping with a virgin will cure you of AIDS. HIFA2015 members highlighted a study from India which found that 4 out of 10 mothers in India believed they should withhold fluids from a child with severe diarrhea (thereby potentially and tragically contributing to increased risk of death of their own child), and that 4 in 10 family doctors in Pakistan used tranquilisers as their first-line treatment for hypertension. Empowering people with the right information means fewer mothers dying needlessly during childbirth, and more children saved by correct rehydration; it also means more people with the knowledge of how to protect themselves against diseases such as AIDS and malaria. This is a goal everyone can get onboard with. 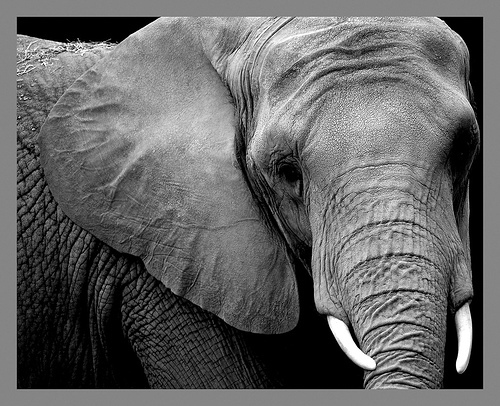 But what is the elephant in the room? Translation. Practically no one is talking about delivering appropriate information in a language that people understand. Because if they are to get the benefit of it, people need health information in their language, not ours. 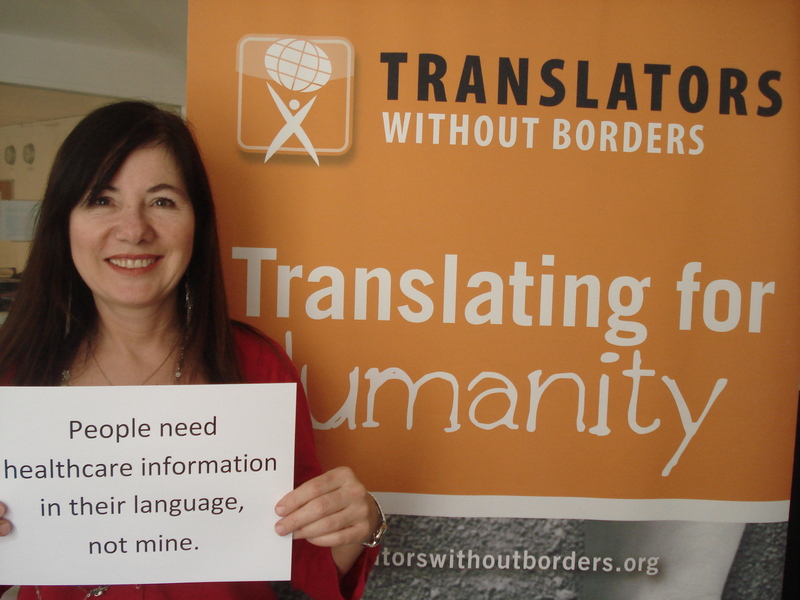 What is Translators without Borders doing about this? First of all, we support NGOs, or Non-Governmental Organizations, by providing humanitarian translations. Each year we provide millions of free words to NGOs, which not only helps them communicate better, but also allows them to economize literally hundreds of thousands of dollars annually. We’re proud of this work, but we want to do more. And we’re particularly concerned by the problem of getting critical health information into the languages spoken by the people who need this information the most. On a recent trip to Kenya I saw the problem firsthand. In every village I visited, there were posters explaining how to protect yourself against AIDS, malaria, cholera, and so on. Yet, despite the fact that few villagers understood the language, each and every poster was printed in English. This reminds me of a sign written only in English, warning Cambodians not to go into a field dangerously laden with land mines. Without question, translation is a more intractable problem in low-income countries which do not traditionally have a strong economic base for this activity. Yet, those are the very countries which most need access to knowledge in their language in order to improve health, education, scientific and technical advancement and economic opportunities. This is a problem we can solve. So much is coming together right now to give us hope. HIFA2015 is raising awareness of the problem. Mobile phones are connecting the most remote communities with the rest of the world for over 50% of the people in Africa and Southeast Asia. India has announced a $35 tablet computer that could offer more computing power and larger screens. Google’s O3B program will bring cheaper internet access to the “Other 3 Billion”. Voice technologies are already capable of delivering information to people who are illiterate. However, the most sophisticated delivery methods in the world won’t help if people can’t understand the information. Likewise, Internet access won’t be of much use without local language content. Translation has to be part of this solution. To help foster a pool of translators in Africa who can translate information, particularly health information, into their local languages, Translators without Borders is launching the Emerging Languages Mentoring (ELM) program. ELM aims to help train and equip translators for the important work of making information accessible to the literally billions of the people on this planet who do not speak English. Translators without Borders is currently focusing on lowering AIDS transmission rates in the Maasai lands in Kenya by translating prevention information for Maasai tribespeople, and on reducing maternal deaths by translating childbirth manuals into Kiswahili, a language widely spoken in East Africa. Our “call for action” for the translation and localization community is to help us scale our program to reach more people in Africa and Asia. In order to reach this goal we need the seed money to hire a full-time staff as well as equip regional facilities for ‘training the trainers’. We also need volunteers for program and project management, course design, programming, community mobilization, fundraising and one-on-one mentoring.